Kids, some barely waist high, casting fly rods in the dirt streets of Jaguey Grande. Not the common picture of Cuba. 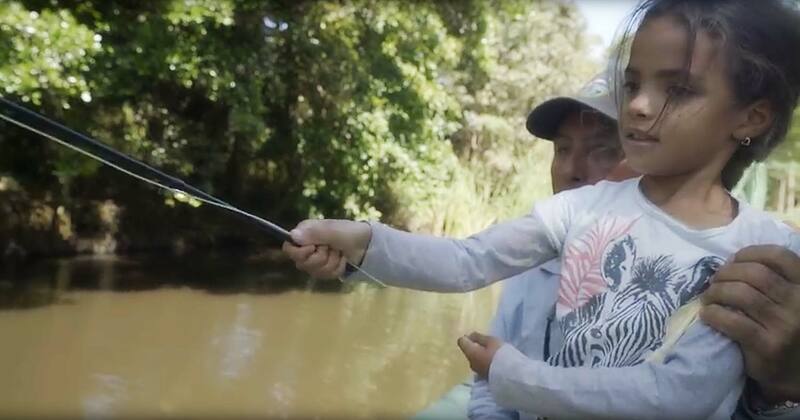 This film tells a remarkable story of a Cuban man who couldn’t have children of his own, and instead became the father of a town, teaching the kids to cast, to fish, and later to guide. One man’s focus and generosity helping kids cast for a better Cuba. “Sponsored by SIMMS Fishing, from Grizzly Creek, Casting in Jaguey Grande tells the real story of the changes facing the next generation of Cubans- far from glossy scenes of vintage cars and cigars that the fill the travel magazines. This entry was posted in Fly Fishing Lifestyle, Saltwater Fly Fishing and tagged casting fly rods in the dirt streets of Jaguey Grande. Not the common picture of Cuba., Kids, some barely waist high by Louis Cahill. Bookmark the permalink.